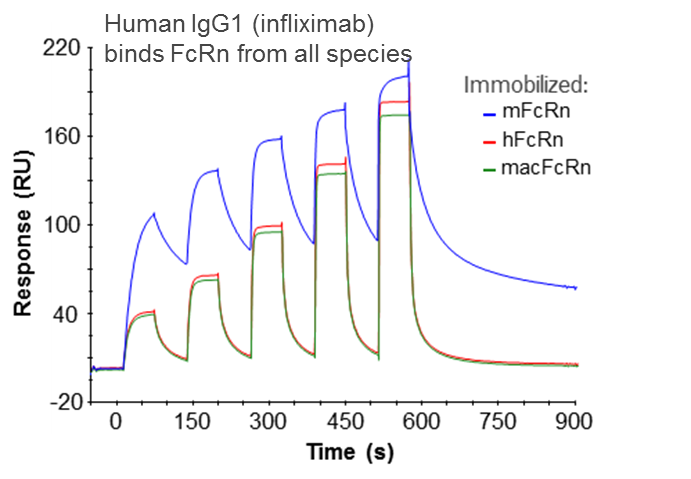 Immunitrack has optimized the production of FcRn. We have the ability to produce active FcRn in large quantities for customized projects. For expression purposes unpaired cysteines are mutated to serines. This does not affect the ligand binding characteristics of the FcRn molecules we produce. The molecules are 100% active and can be enzymatically biotinylated at the C terminus of the FcRn heavy chain, allowing IgG and albumin to bind simultaneously. SDS-PAGE gel shift assays showing the biotinylation of FcRn heavy chains, the site specific biotinylation at the C terminus ensures directed immobilization and allows simultaneous binding of albumin and IgG. Currently we are able to deliver FcRn molecules based on the following species, with different species combinations of b2m and FcRn. FcRn molecules not present on the list may be synthesized and produced upon request. Immunitracks FcRn molecules are 100 % active and can be supplied with or without an enzymatically biotinylated C terminus. 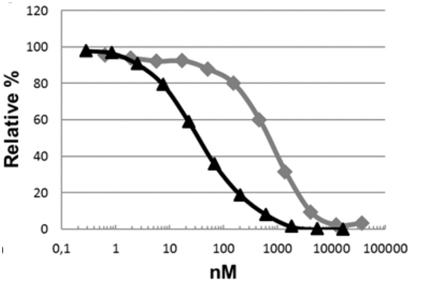 Kinetic analysis of binding of HSA and HSA K573P mutant on biotinylated human FcRn on the Octet platform from ForteBio. The efficacy of IgG-based therapeutics could be based on the interaction between therapeutic antibody and neonatal Fc receptor (FcRn). This is one of the critical factors in determining the circulating antibody half-life. Exploiting this FcRn mediated rescue has emerged as a generalizable approach to improving the pharmacokinetics of therapeutics. The ability to measure FcRn interactions is a prerequisite for the study and eventual manipulation of FcRn mediated rescue. Materno-fetal transfer of preproinsulin through the neonatal Fc receptor prevents autoimmune diabetes. Regulation of immune responses to protein therapeutics by transplacental induction of T cell tolerance. Stabilisation of the Fc fragment of human IgG1 by engineered intradomain disulfide bonds. Ligand binding and antigenic properties of a human neon. A strategy for batal Fc receptor with mutation of two unpaired cysteine residues. 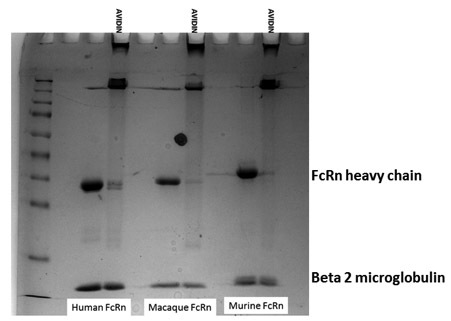 Bacterial production of a soluble functional human neonatal Fc receptor. J Immunol Methods. 2008 Feb 29;331(1-2):39-49.